Clear skies. Low 46F. Winds WNW at 10 to 20 mph, becoming ENE and decreasing to less than 5 mph..
Clear skies. Low 46F. Winds WNW at 10 to 20 mph, becoming ENE and decreasing to less than 5 mph. 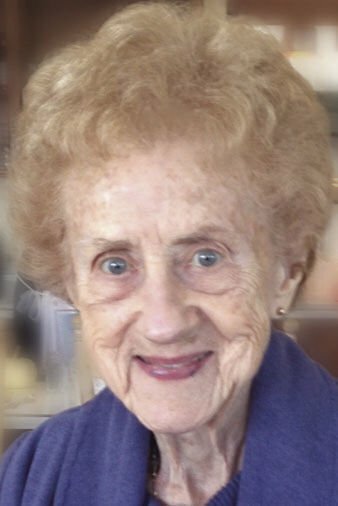 Dorothy (Boguski) Petras passed away in Solvang, CA on January 25. Predeceased by beloved husband Joe, siblings Stanley, Steve and Leo Boguski, Helen Thomas and Joan Gearo. She is survived by her 4 children Joe, Jim, Diane and Jack, 8 grandchildren, 3 great-grandchildren, and numerous loving nieces and nephews. She leaves enduring memories of unconditional love for which her family will be forever grateful. A memorial service will be planned in California on March 23 and in Ohio in June. Search Legacy.com for details.